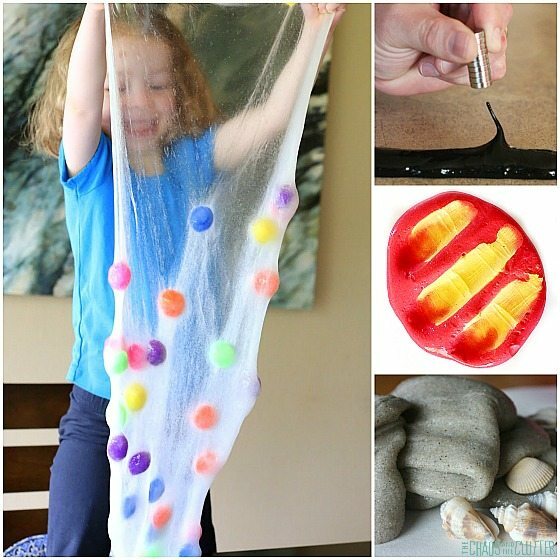 Slimes are a great sensory activity for kids. There are many slime recipes out there. I wanted to showcase some of the most unique slime recipes. 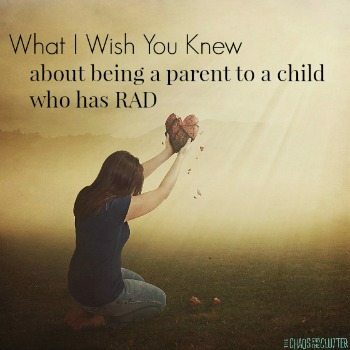 I’m sure you will find these as cool as your kids will find them! My kids, in particular my girls, are always on the lookout for cool slime recipes. Our kitchen now has so many plastic containers and resealable bags full of different types of slime! 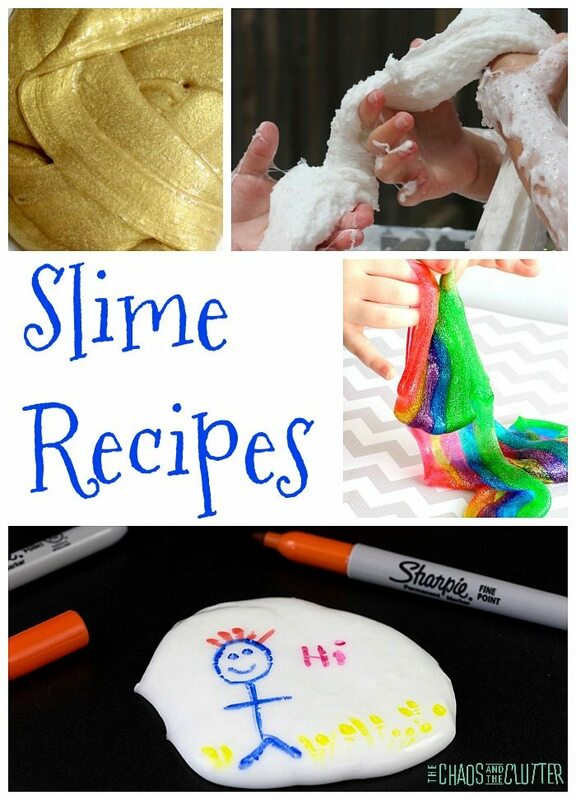 My girls scour the internet and Pinterest searching for the latest and greatest slime ideas, which is one of the reasons that I decided to put this list together and have all the types of slime in one place. 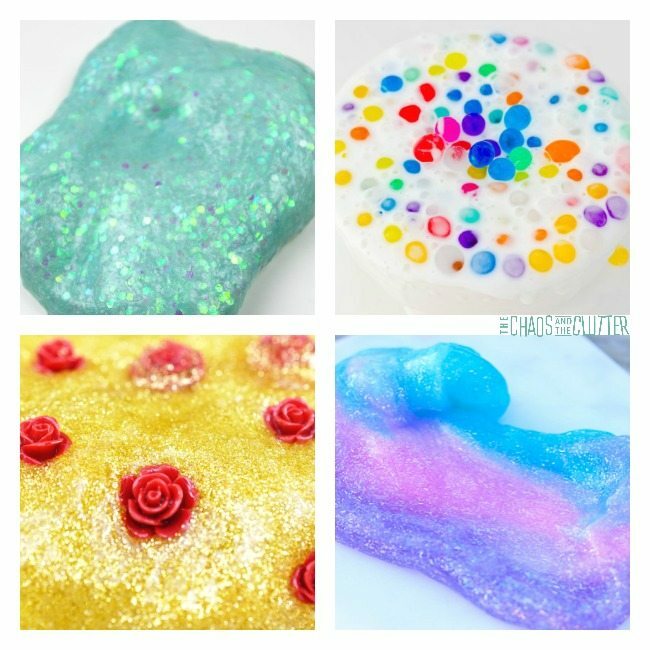 This recipe from Sugar, Spice and Glitter has got to be one of the most unique slime ideas out there. It gets its fluffiness from the crystals in disposable diapers! STEAM Powered Kids has tested out 3 different cornstarch slime recipes and provides detailed instructions as well as revealing which one is their favourite of the bunch. 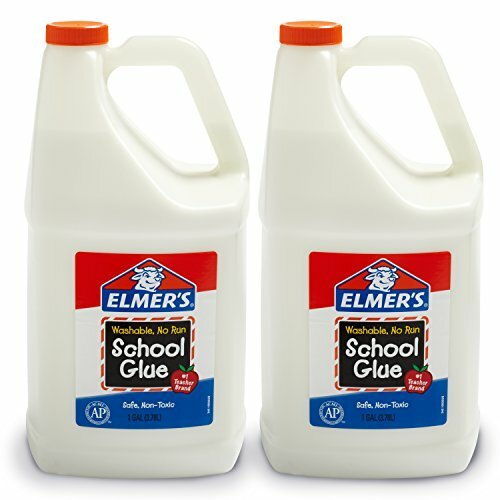 What makes this type of slime from STEAM Powered Kids so different is that it doesn’t use Borax, liquid starch or detergent. This slime idea by Little Bins for Little Hands uses real sand to create a fun sensory slime. Our unicorn slime contains both shaving cream and foaming hand wash as well as other ingredients, giving it a unique consistency. There’s a “secret” slime ingredient in this one that makes it look like a spider web. I love the look of this glittery slime. It’s simple, but still very cool. 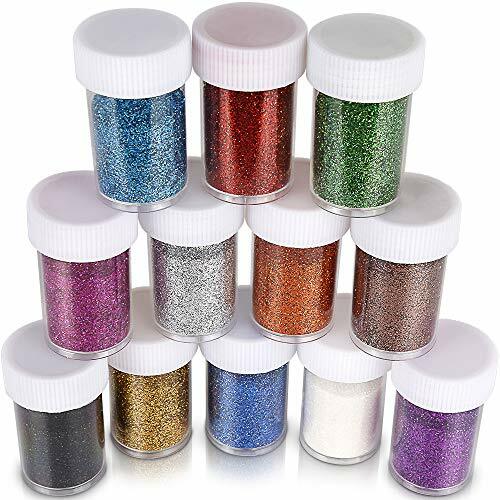 Anything glow in the dark is just plain fun, and then add glitter! I love the contrast of colours in this simple rainbow slime recipe with a twist. It’s one we really like. This glittery rainbow slime from MomDot is perfect for St. Patrick’s Day or Spring. This magnetic slime recipe (yes, really!) 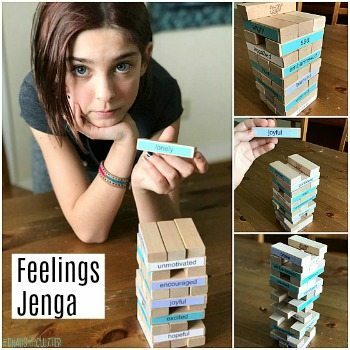 from Frugal Fun for Boys and Girls is part sensory, part science and all fun! Another science lesson with slime can be found in this colour changing slime by Left Brain Craft Brain. This gorgeous galaxy slime from Two Daloo is super cool! Fun at Home with Kids’ polka dot slime is the first slime recipe I ever tried to make and it turned out wonderfully. 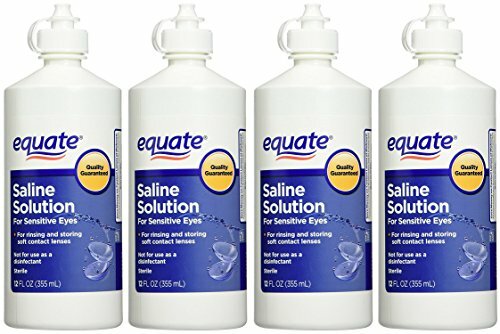 The key is to use the clear glue. This slime is extremely stretchy. That makes it fun to play with. Like all slimes, it’s also pretty fun to make. I’m a huge Minnie Mouse fan, so this Minnie Mouse slime was kind of an inevitability! It turned out to be super cute. Wildflower Ramblings came up with this safe slime recipe that even little ones can play with. Who would have ever thought to use slime for artwork?! 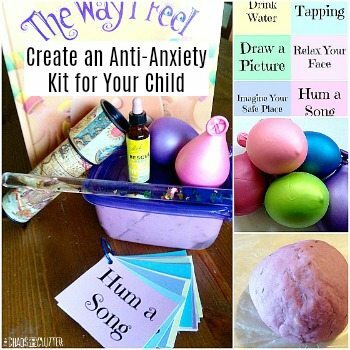 I love this idea from Left Brain Craft Brain. 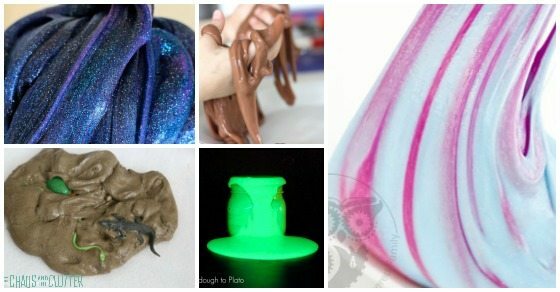 From Edible to Glow-in-the-Dark Slime – it’s got it all! Easy Gold Slime – I’m amazed at the way this slime from Fun a Day sparkles. Chocolate Slime – Even though this chocolate slime invented by Little Bins for Little Hands is not edible, I’ll bet it smells delicious! Glow in the Dark Slime – Playdough to Plato created this slime recipe that glows in the dark. Mud Slime – This ooey-gooey slime from Frugal Fun for Boys and Girls is like elevating a mud pie. 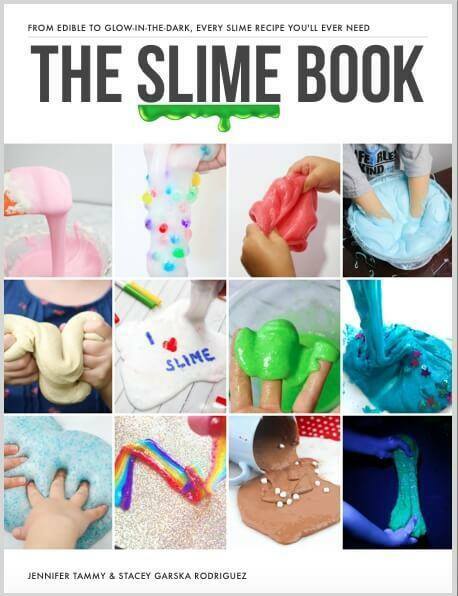 The only question now is what cool slime recipe are you going to try first?! 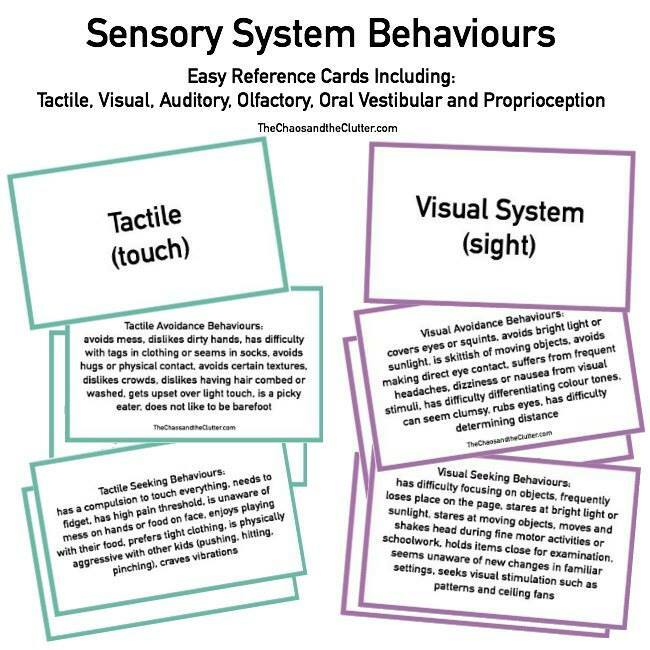 Join me for a free 5 part email series Sensory Solutions and Activities (just pop your email into the box below) and get a free sample of our Sensory Play Recipes eBook. 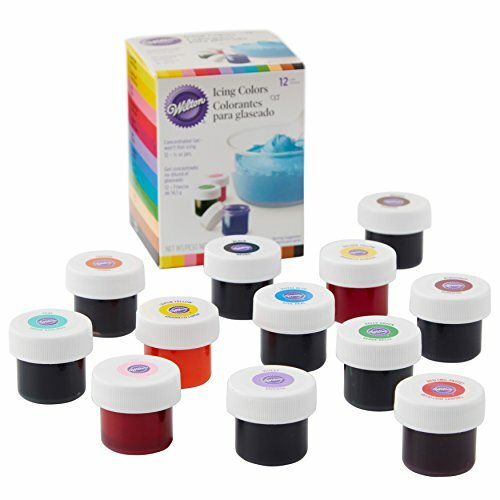 If you are looking for other slime ideas, you can find our list of the Cool Slime Recipes here.